Beautiful Incentives: Colortime Recycle shopping tote Review & Giveaway! Colortime Recycle shopping tote Review & Giveaway! I am a big fan of DIY projects and when the things that you need come together in one package it's even better. 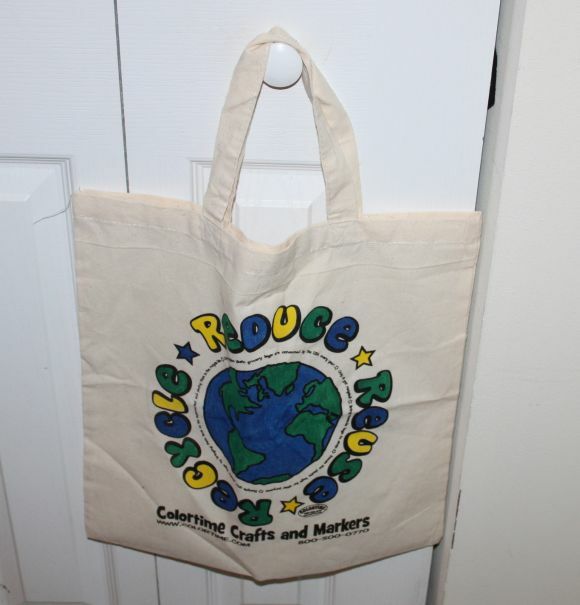 Especially when it's something reusable like this recycle tote that shows off your passion for recycling. It's great for exposing your kids to the world of recycling as well. What better way to do that than by making it a fun craft activity? Color time provided me with a pre-printed tote and fabric friendly markers to color it in. 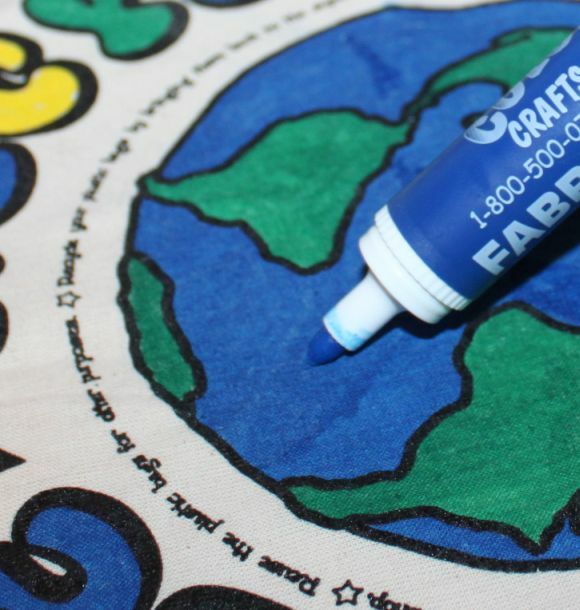 It's a cute design with a picture of the earth and the words recycle and stars surrounding it. 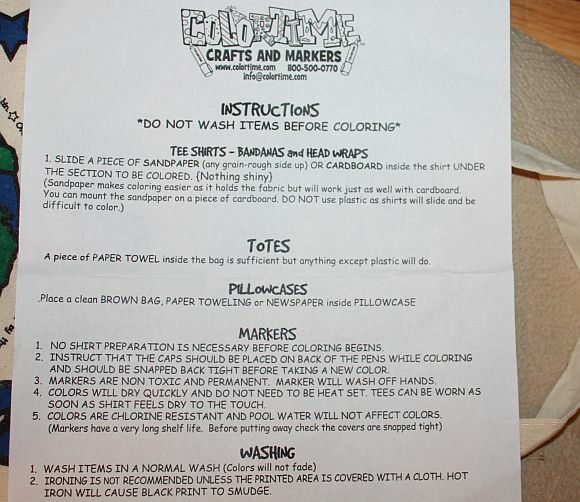 The Color time tote fabric was very easy to color and I had no problems with bleeding from the markers. You MUST put paper towels inside the bag between the front and back or you will have a problem with bleeding. The ink did however get on my hands easily, but it was a cinch to wash off so there are no worries where staining is concerned. Obviously since it is meant for clothing, if you get some on your clothing, it is there for good as far as I know. In light of this fact, I would suggest putting an apron on your child before letting them color. Color time offers a wide range of accessories and designs to choose from that will fit anyone preference. They are cute and more kiddy style than anything so your kids will love them. The ink dried fast on the canvas fabric and I was able to use the tote the next day to pick up a few little things. The bag is made of canvas and the size is 16' tall X 15' Wide with 5' tall handles. So it's not too big and not too small. It would be a perfect over night bag or beach bag. As for color transfer, I did not experience any on my clothes when brushing or rubbing against it, but that is after waiting for it to fully dry overnight. 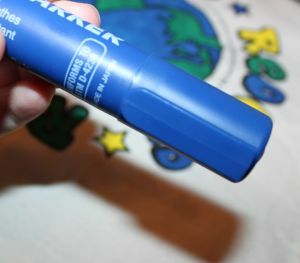 Another great feature is that the cap snaps snug in place at the end of the marker while you are using it. I can't stand when caps are loose all over the place. They always end up getting lost. I really like this bag for myself, despite its kiddy features. It makes a great all around tote and I can never have too many reusable bags when I go shopping. It has short handles though so for those of you with bigger arms, you'll have to carry it in your hands. Little arms can carry it over the shoulder just fine. Right now, Colortime is running THREE promotions! 2 is that you get free ground shipping over $60 with the code: FRSH11W. Valid in continental US only and offer cannot be combined with others. And 3 is a giveaway on their Facebook! All you have to do is like their page and each week Colortime will pick 3 winners at random. 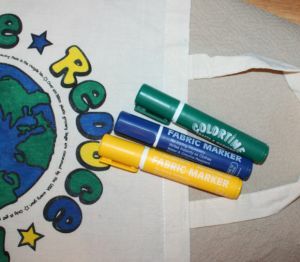 You will receive a color your own recycle tote bag with 3 fabric markers- the exact package I reviewed. Just look out for the winners name on their page each Monday. They will also send you a message on FB telling you you won, but you can e-mail them as well at info@colortime.com with your name and address. Winners can only win once and prizes will be shipped within 2 weeks. Good Luck!